It should be no secret that content is among the top three ranking factors Google uses to determine organic search rankings. The more content you have, and the higher the quality of that content, the more keywords your website will rank for, giving you more visibility in organic search. The content you find on a product/service page is typically tailored toward keywords with “conversion intent,” that being, a keyword with a greater chance of leading to a conversion. Contrast that with the content you may find in a blog or article – they tend to be more educational/resourceful in nature. These types of content pieces tend to be tailored toward keywords with “research intent.” Someone searching a keyword with research intent (“Benefits of SEO” for example) is likely to be closer to the top of the sales funnel compared to someone searching a keyword with conversion intent. The truth is: Publishing these types of content helps your website rank for conversion intent keywords. In fact, publishing educational/resource content is sometimes the most effective tactic to help your website enhance its conversion intent keyword rankings. Why? Because Google only gives high rankings to the most authoritative websites. 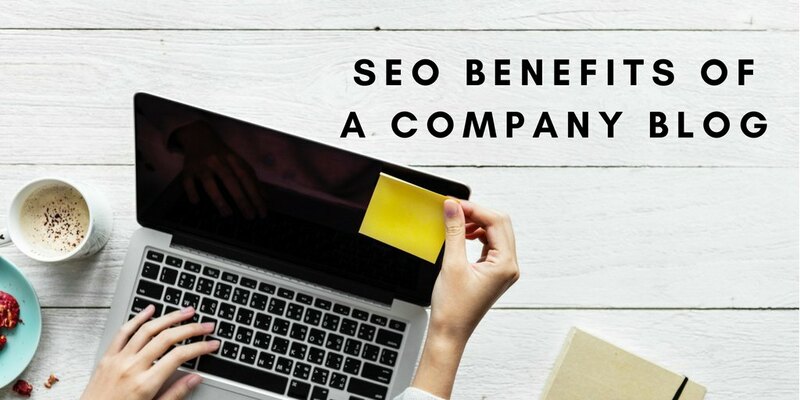 That’s their whole business model – they pride themselves on their search engine’s ability to provide the best results from the most authoritative websites. How do you build website authority? By proving that you are a thought-leader in your industry. The more insightful content you publish showing that you are an industry thought-leader, the stronger ALL of your keyword rankings will be, even if your thought-leadership content mainly leverages research intent keywords. The only difference between these websites is that one has a blog that is frequently updated with insights on news and trends in the home improvement industry, while the other does not. In this case, Google would find that the website with an active blog has proven that they are more of an industry thought leader than the website with no blog content – it has more authority. So even though these websites offer the same quality of service pages, the more authoritative website will always beat their competitor for conversion intent keywords, and they do it with thought leadership content leveraging research intent keywords. – Increasing the total number of keywords your website ranks for overall. – Improving the positions of your website’s keyword rankings for both conversion and non-conversion intent keywords. Another SEO benefit that should not be overlooked is enhanced linkability. The number and quality of backlinks your website has is right up there with content in terms of important ranking factors. When your website offers resourceful/educational content, you have a greater opportunity to earn more backlinks. Of course, the framing of this pitch varies with the type of website you are pitching to and the type of content you are pitching, but a website with no resourceful/educational content has no value proposition to offer. Website owners will not give you a backlink unless they are convinced that a backlink to your website is in their best interest. If your website doesn’t have content that can supplement and/or enhance other websites, you are much less likely to earn backlinks. Blogging is Great for SEO! Not only do “How To,” “Insights,” “Benefits Of,” etc… articles and guides help with resource intent keyword rankings highly relevant to these content topics, they help enhance your keyword rankings for all other pages on your website. This includes the conversion intent keywords your product and/or service pages are likely tailored toward. Of course, this isn’t as simple as publishing one article. A robust ongoing content marketing strategy is necessary to see meaningful results on your website. Get in touch with SoMe Connect to learn more.